Easy to grow, fun to use. 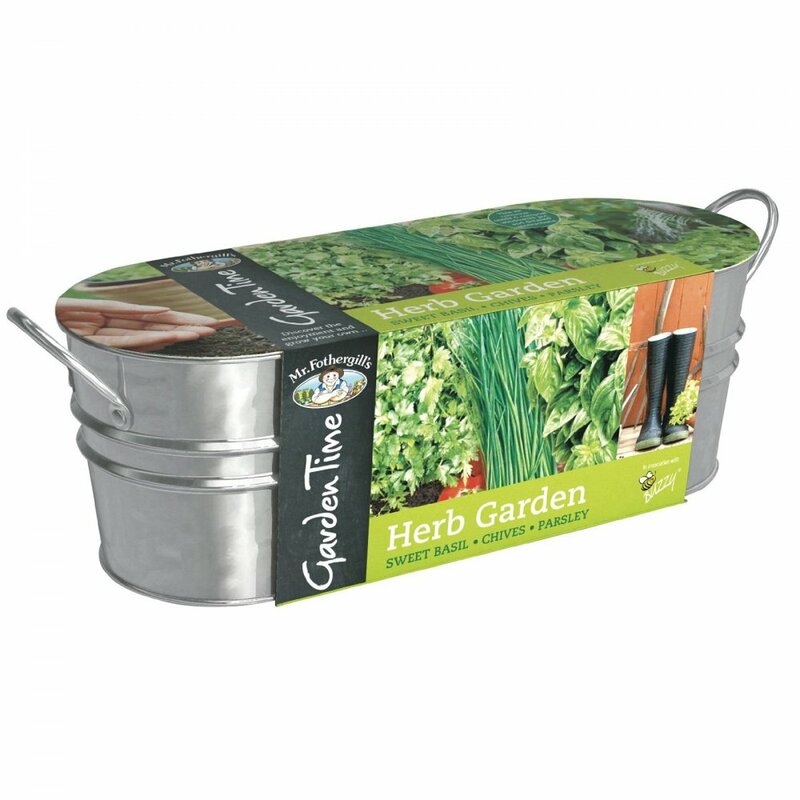 A high quality gardening gift with everything to grow Sweet Basil, Chives and Parsley. Easy to grow windowsill garden kit, with a galvanized container with Sweet Basil, Chives and Parsley seeds. Sow seeds indoors (approx. 20°C) all year round, to provide some drainage, place a layer of small stones into the bottom of the windowsill planter before covering with compost (keep approximately 10% of the compost to use later). Divide into three sections and thinly sow a sprinkling of seeds of one variety per section, Cover the seeds with the surplus compost and gently firm down and lightly water and place on a warm, light windowsill. To maintain the humidity you can cover your windowsill planter with cling-film, remove the cling-film when the first shoots appear. Water regularly but not to excess, just enough to keep the soil moist, when the young plants are approximately 5-6 cm tall they should be thinned to leave only the two strongest plants of each variety. The surplus plants can be removed carefully and planted into other planters or into the garden, spaced 25 cm apart. Place your windowsill planter outside from mid May. Contents: Sweet basil, chives and parsley seeds, windowsill planter, potting compost and detailed instructions.